Goat milk skincare products were once a specialty item that were difficult to find, and used mainly by people with sensitive skin and skin-related allergic problems like eczema. Times have changed, however, and just like goat milk and its edible products are widely enjoyed by both the local farmer and the big-city socialite, the skin care products have followed suit. Even before we started making our own Goat Milk Soap, we had no problem locating handmade goat milk soap and other products at local farmers markets and country stores in our rural area. Skin care products made with goat milk are also popular craft items displayed at fairs and craft festivals. The variety of scents and textures produced by the local artisans is really amazing, and we never passed up the opportunity to purchase these wonderful handcrafted products. The difficulty was trying to narrow our selections down to just a few! Even without these local sources, however, a growing selection of goat milk skincare products is appearing at popular drug store chains and bath and beauty supply stores. Internet sources are also widely available that include larger commercial manufacturers as well as the truly "homemade" products produced on family farms. So, what's driving the appearance of more and more of these formerly niche products? It's a basic economic principle that supply follows demand; therefore, the demand for these products has evidently been increasing in recent years. The value of goat milk for skin care is not a new discovery. Thousands of years ago, Cleopatra, renowned for her beauty, is said to have bathed daily in milk baths. Women throughout the years have followed her example for producing beautiful, radiant skin. And, while we're at it, don't forget your dog! Goat milk dog shampoo and soap are both available and recommended especially for dogs with sensitive skin (like our miniature dachshund!). Why Goat Milk for Skin? The effectiveness of goat milk skincare products hasn't changed through the centuries; however, we do know a little more about why and how they work. Let's take a look at some of the properties of goat milk and how they support healthy skin. To begin, have you ever seen those facial creams and lotions advertising alpha hydroxy acid (AHA) as an ingredient? Alpha hydroxy acid is used as an exfoliating agent, meaning that it removes the older, surface skin cells, revealing newer, fresher skin cells. A commonly used alpha hydroxy acid is lactic acid, which comes from milk. Fermented milk products like yogurt, sour cream and buttermilk, have concentrated levels of lactic acid caused by the fermentation process that converts lactose, or milk sugar, into lactic acid by the bacteria. 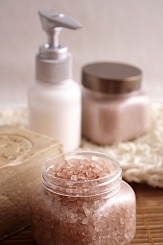 Homemade goat milk facials using these fermented milk derivatives have the added benefit of exfoliation from the lactic acid. Widely known for its moisturizing ability and gentleness, goat milk products owe their natural ability to gently cleanse, soften and heal skin to several chemical properties of goat milk. The moisturizing ability of goat milk skin care products is the result of both the fat and the protein composition of goat milk. Fat molecules in goat milk are smaller than in cow's milk, and remain, to a large degree, naturally homogenized within the milk. The fat composition itself contains significantly larger amounts of medium chain fatty acids, known as capric, caprylic and caproic acid. The larger proportion of these shorter chain fatty acids as compared to cow's milk, combined with the smaller size, makes the fat in goat milk more accessible to being absorbed by the skin. The nature of the protein structures in goat milk is also different, having more shorter strand proteins, which are also more easily absorbed by the skin. This greater absorption property of fat and protein helps leave skin smooth and supple. Finally, goat milk is rich in many vitamins and minerals that are absorbed through the skin along with the fat and protein. Particularly important to skin health is vitamin A, of which goat milk contains about 47% more than cow's milk. These properties of goat milk skin care products are particularly beneficial in the needs of aging skin. You can read more on this topic in Elderly Skin Care and Goat Milk Products. Exfoliation creates the appearance of more youthful-looking skin, including reduced appearance of wrinkles, rough skin and uneven pigmentation. Compared to other kinds of commercial soaps, goat milk soap exhibits a lower pH that is closer to the natural pH of human skin. This is particularly important to those with sensitive or delicate skin, including babies. The acidity of skin is maintained by what is commonly known as the acid mantle, a very thin film on the skin's surface. The acid mantle helps keep the skin healthy and acts as a barrier to potential pathogens, such as bacteria and viruses. "Harsh" soaps are usually alkaline (have a high pH) in nature, and strip away the acid mantle, resulting in dry, itchy skin. If you think your soap may be causing your dry skin, you can easily test it yourself. First, purchase pH testing strips (like the ones you used in high school chemistry class). Then, take your soap, add a small amount of water to the side, and rub gently to create a small amount of lather. Press the test strip into the side, and match the resulting color to the pH scale that came with the strips. Healthy skin maintains a pH in the range of about 4.5 to 6.0 on the pH scale, so the closer your soap is to this level, the more gentle it will be. Because soaps are alkaline by nature of the soap making process, you won't find one that completely matches the acidity of skin; but, the closer you can match your soap to this level, the better for your skin. A second factor in soap's gentleness is its amount of superfatting. 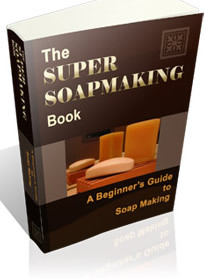 Superfatting is the amount of "extra" oil left in soap after it reacts with lye in the chemical process of making soap. Superfatting ensures that the "soap" molecules have enough oil to bind with without stripping away all of the skin's natural protection. Thus, a higher degree of superfatting produces a gentler soap. A soap produced with the same recipe, but using goat milk instead of water, will have a higher percentage of superfatting because of the naturally occurring fat in the goat milk. Finally, a soap's gentleness depends upon the type of oils or fats used in its production. Some fats, like olive oil, avocado oil and shea butter, produce soap that has natural skin conditioning properties. Other fats, such as tallow (lard), do not produce a soap that has these properties. 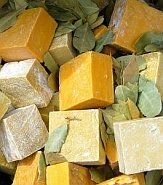 Goat milk soapmakers are most often interested in producing soap that is as beneficial to the skin as possible, and so select oils that complement the properties of the goat milk. Another factor that separates handmade soaps from commercial soaps is the glycerin content. The chemical reaction produced by combining lye with fats results in two products: soap and glycerin. Glycerin is a humectant that attracts moisture to the skin, thus helping to keep skin moist. In commercial soapmaking, the glycerin is extracted to sell separately, leaving only the soap without the benefits of the glycerin. Handmade soap retains all the benefits of the naturally-occuring glycerin. This goats milk soap is fabulous. Goat milk has a long history as a skin care and beautification product. Modern analysis has shown that goat milk has unique properties in its composition that make it gentle, moisturizing and nourishing for almost all skin types. People with skin that is easily irritated, dry or sensitive have found goat milk products particularly beneficial. Goat milk skincare products are commonly available in many local and national chain drugstores and bath and beauty stores, as well as craft exhibits and farmers markets. 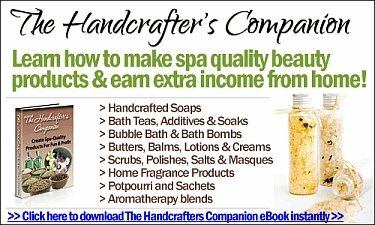 You can also make many of your own skincare products at home. Now that you know the facts, pick one of the numerous goat milk skin care products to try today. Maybe you'll soon be saying, "Cleopatra was right!" Want more articles on this topic? Let us know by taking our quick preference survey! Articles are updated frequently, so check back here for any new information related to goat milk skincare products!